Dr. Mona Chang is a board-certified family physician who has been working at Cornerstone since 1989. She resigned from delivering babies after 14 years and now serves patients of all ages, from newborn to nursing home at the River Avenue, Williamsport (Cornerstone) location of Family Practice Center. Dr. Chang feels that family practice medicine is a good way to tie an interest in science with a desire to be useful to the greatest variety of people. She tries to allow her patients to make many of their own decisions, particularly in preventive care and early detection, being more of a health care consultant than a dictator. Her favorite quote for her patients: Take care of your body as if you `re going to live forever and your soul as if you`re going to die tomorrow. Dr. Chang was born in New Jersey and is married to Joseph W. Smith, III. They have two sons: Douglas, who is a transportation engineer/traffic control specialist with PennDOT in Pittsburgh, and Timothy, who is working toward a MFA in Creative Writing at Belhaven University in Mississippi. 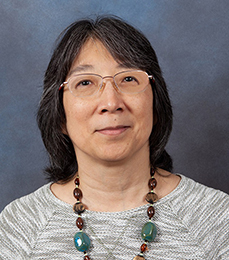 In her free time, Dr. Chang serves at the New Life Orthodox Presbyterian Church coordinating the Sunday School program and organizing the annual Spring Cleaning Giveaway. Besides volunteering at the St. Anthony Clinic, she sings with the Gatehouse Singers and plays her alto saxophone in the Respasz Band, where she has also helped resuscitate a cardiac arrest victim during rehearsal (successfully!). Dr. Chang also plays in the Spirit of Swing band and the Autumn Winds Saxophone Quartet.